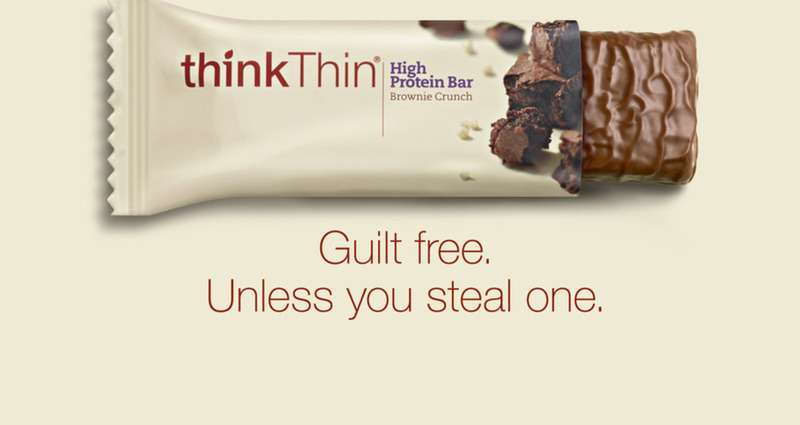 This is the first national print ad for thinkThin® protein bars. The campaign is intended to celebrate thinkThin's belief that women should never have to feel guilty about what they eat. Even when it's coated in chocolate. The objective of this ad, and the greater campaign, is to build awareness for the thinkThin® brand, while also driving trial.